Have trouble playing AVI files on Apple TV? Yeah, most AVI files are not supported by Apple TV except those encoded with Motion JPEG. So if you want to watch your AVI movies or videos on Apple TV, there are at least 2 twos to play AVI on Apple TV for your reference. If you don't have app to stream AVI to Apple TV, you can convert it to Apple TV supported formats. What kind of video formats Apple TV supports? Check below. 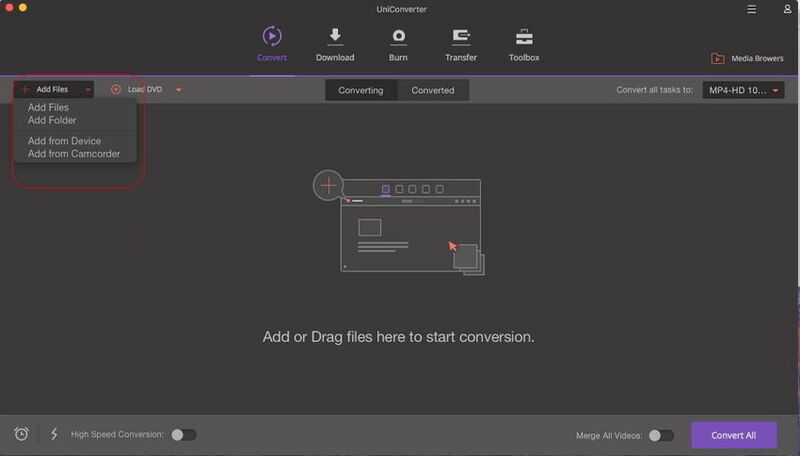 To convert AVI format to a Apple TV-supported format, you can use this smart Wondershare UniConverter for Mac (originally Wondershare Video Converter Ultimate for Mac). 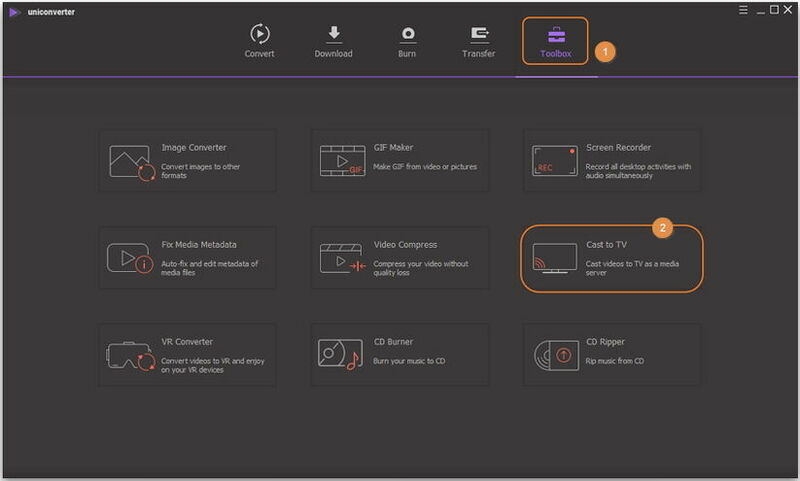 It directly offers you an optimized preset for Apple TV, so you can perform the conversion easily even though you don't know what the best format is for Apple TV. Just follow the guide below to convert and play AVI on Apple TV step by step. Download this AVI to Apple TV converter here. After that, install and launch it. Please note all screenshots in this article are from Mac version. 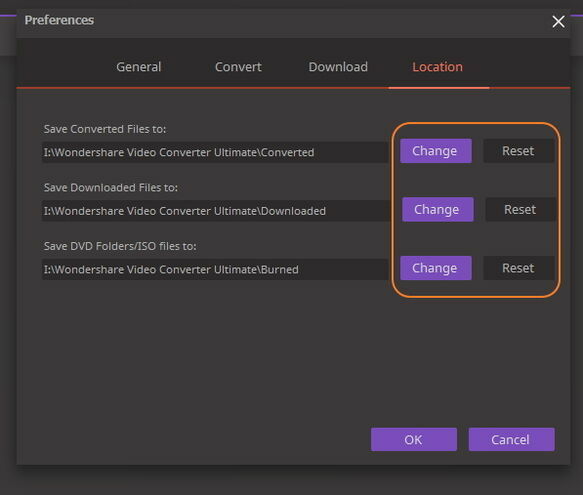 To import AVI videos to this Video Converter, you can click the button in the upper-left side to browse and load the videos you want. Alternatively, you can directly drag the target AVI videos to this app. Enter into its output format window by clicking the icon from the Target box and then you can select an appropriate output format, just according to your need. Just choose Device > Apple > Apple TV option. The optimized output format is fully compatible with your Apple TV. Just click the Convert button to convert AVI to Apple TV in Mac OS X. OK, it's done. The process will take you a while, which mainly depends on the size of all imported AVI files and the performance of the Mac. When the conversion is over, you can get the output files in the output folder. In this way, you can enjoy the AVI on Apple TV without any limitation. Note: In order to find the output files quickly and easily, you can customize output directory. Just click the menu icon in the upper-right side and choose Preference > Location to change the save path. 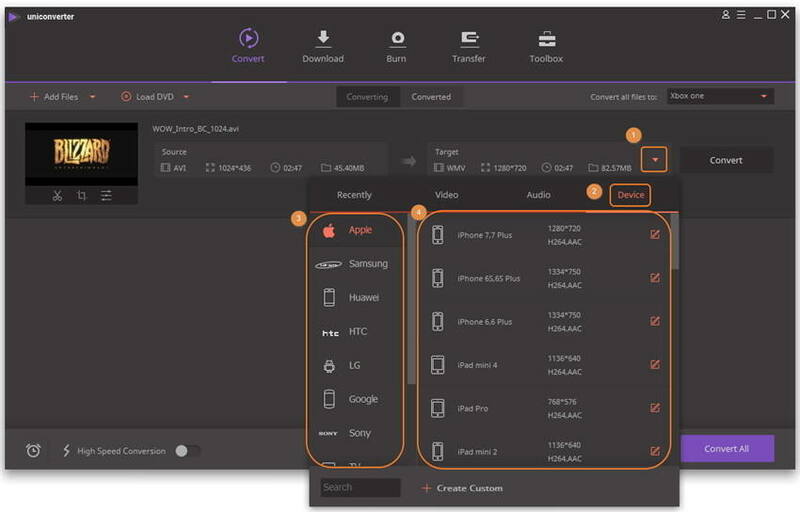 There are multiple third-party apps supporting Apple TV with higher compatibility of video formats like Plex, Allcast, Wondershare Media Server and so on. 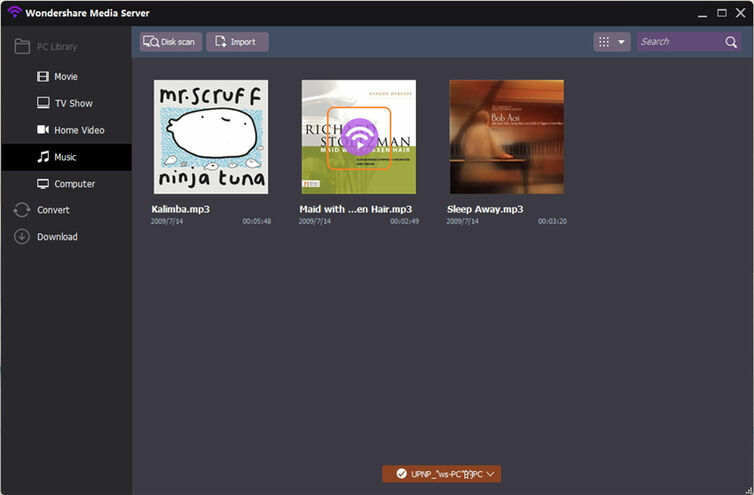 Step 1 Launch Wondershare UniConverter (originally Wondershare Video Converter Ultimate) after installation, then click Toolbox in the top > choose Cast to TV. 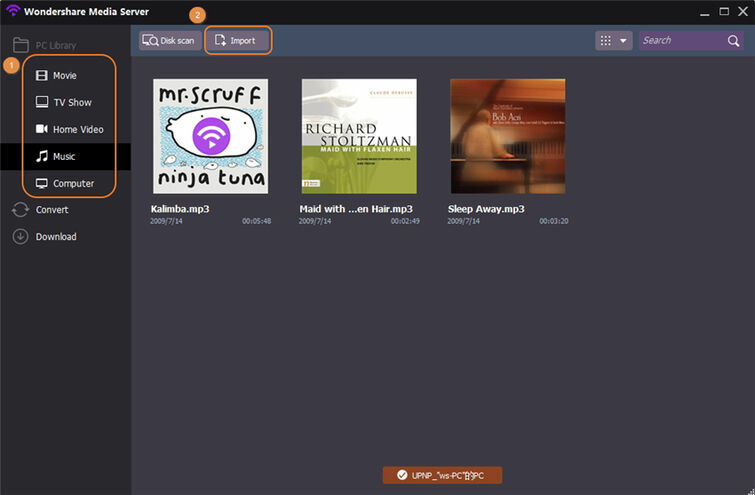 Step 2 Then you'd get a separate Wondershare Media Server window, click Import or Disk Scan to import your target files to stream on Apple TV. Step 3 Move your mouse over the video, you will see the Wi-Fi icon showing up. Click the Wi-Fi icon to Play on TV. Step 4 After click the button, there would be a pop-up window, which will be the remote controller for your big screen. 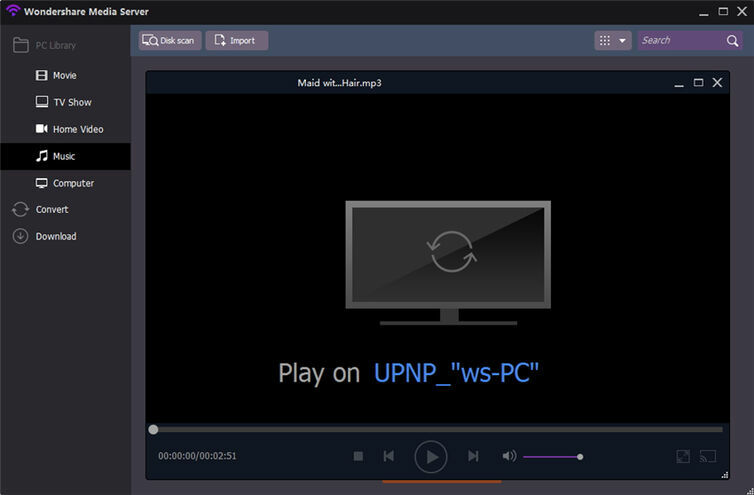 Now you can play/pause the video and control the sound volume and even insert subtitles. And your AVI videos will show up on big screen directly.